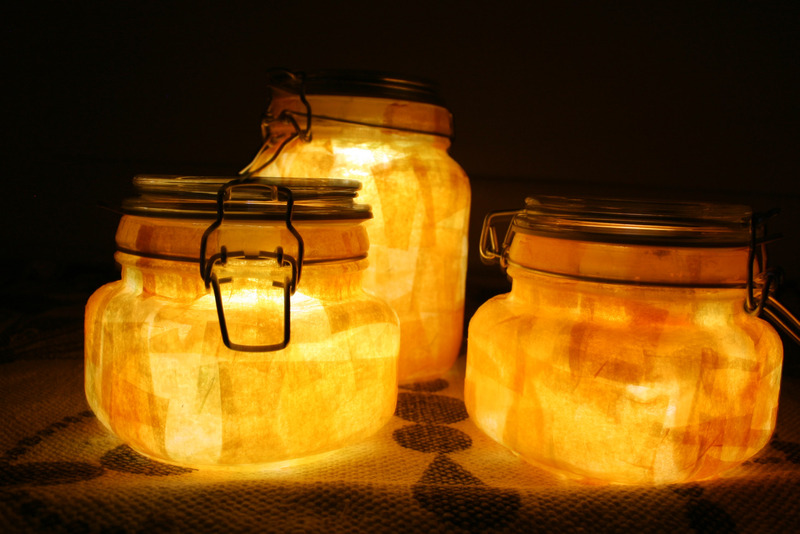 Plot: So Urban Outfitters sells these super fun solar jars for $45 each. They say things like “Sunshine is free!” “Collect it for later!” on the box. Awesome, but expensive. I thought they would be so perfect to have on my deck at camp, and knew there must be a way to diy them for a more affordable price. There are a few online tutorials on how to make your own (like this one), and after reading a few I just kind of winged it. Buy some $3 solar garden lights from Lowes. Take them apart and cut the top down so that it can fit snugly in the lid of a jar. I bought mine from World Market, but I’m sure you could find some at Goodwill or something. Many of the tutorials call for frosting the glass, and I tried that, but thought the light looked too cold. I wanted some nice warm sunshine. 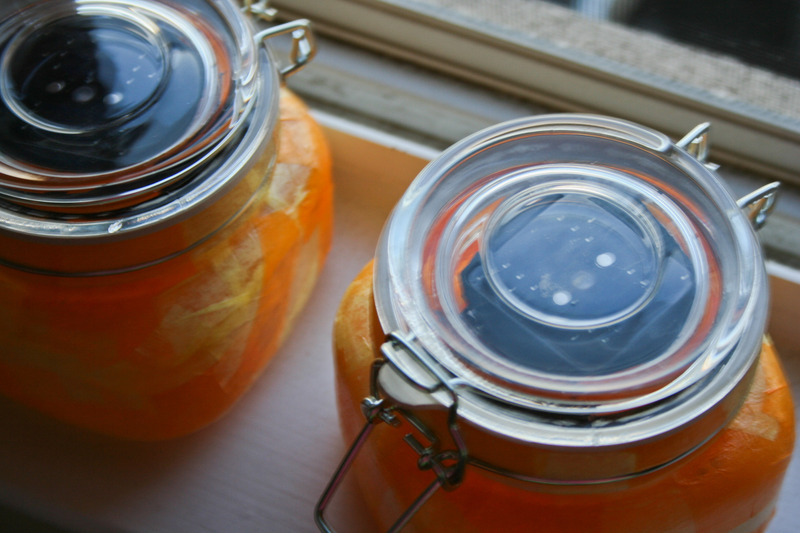 I took to handy Modge Podge and some orange and yellow tissue paper and kind of “stain glassed” the outside of the jar. I was sure to spray them with sealant afterwards so they would hold up on my deck at camp. Oh heather! I LOVE these! Conceived by two 20-something redheads one summer day, this blog is now born and will be devoted to all things crafty and creative. Like many of our ideas, we’re not exactly sure what direction the project will take, but we are setting off on this little adventure in hopes that we can share our inspiration, ideas, and love for creativity with the world around us. We’re hoping you’ll join us!